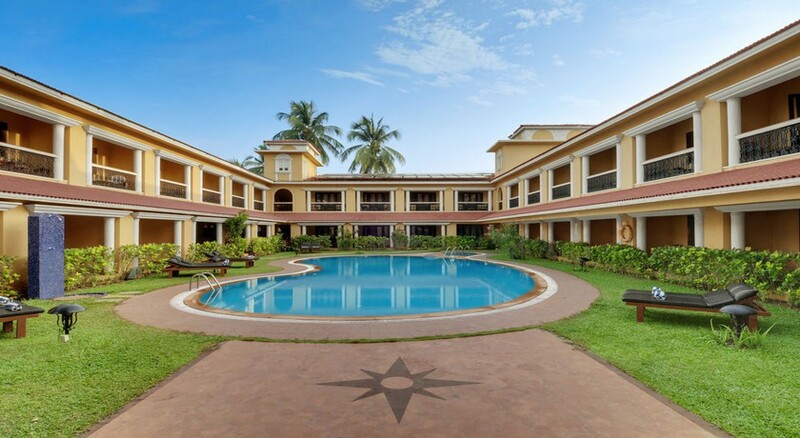 This small, stylish and quiet hotel is situated in the beautiful region of North Goa and is just 200 meters from the beach. Calangute has good shopping and the wide sandy beach is nearly 4 miles long. The local markets have a bustling atmosphere where you can haggle for local silk, spices, fruit and vegetables, souvenirs, jewelry, carpets and carvings. In the center of the town is a Tibetan market and it is only 10 miles to the capital of Panajim. 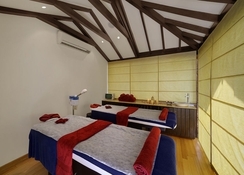 Guests can enjoy the many facilities available imbued with hospitality. The air-conditioned hotel has a currency exchange facility and a safe for securely storing valuables (charges apply). The hotel also features a café, a bar, a restaurant and a taverna with views of the pool and the adjoining sunbathing lawn. Room service is also on offer. Those arriving by car may make use of the car park. Each room has bathroom with bathtub and shower, WC, air-conditioning, television, telephone and balcony or terrace. 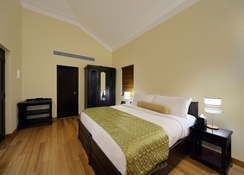 Rooms can accommodate maximum three adults or two adults and one child. The hotel has a restaurant, a poolside bar and a cafe/bar. CHRISTMAS DAY AND NEW YEARS EVE GALA MEALS INCLUDED. 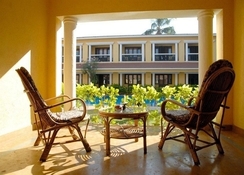 The Casa de Goa Hotel is located in Calangute, in the district of North Goa. This town is well-known for its beach, the largest one in this Indian district, where you will have plenty of space to relax under the sun. In the coastline you will find plenty of food stands, where you can taste delicious Indian food. Errata Information:India travel advice: 500 and INR 1000 rupee notes abolished. On Wednesday 08 November 2016 the Government of India announced INR 500 and INR 1000 rupee notes issued by the Reserve Bank of India are not valid from 09 Nov 2016 at 12:00 AM. You can exchange your Rs. 500 and 1000 rupees note from your nearest bank branch before Dec 30 to New 500 rupee note and New 2000 rupees note.